Insert Auto Services carries out the carriage of goods by road and packages throughout Europe and England, with the point of departure or return in Romania. Whether you want to import goods of any EU country or to export to any EU country, we can help you with quick solutions, efficient and at profitable prices. request both from the customers and collaborators, we managed to win a reputation on the domestic market and international markets as a supplier of services and optimal solutions. 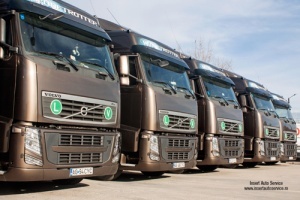 The supplier consists of a young and dynamic team within the deadlines for loading/unloading, as it is relying on experienced drivers and reliable motor vehicles. At Insert Auto Service we understand that your business will depend on the distribution of the rapid and effective products and supplies over the borders and through all European markets. Welcome the new year with a new site, which will reflect the development of our society and trends of development. We invite you to find in the pages of the web site information of interest and to contact us for the invitation to tender or details!